You must be 25 years old to rent this condo. 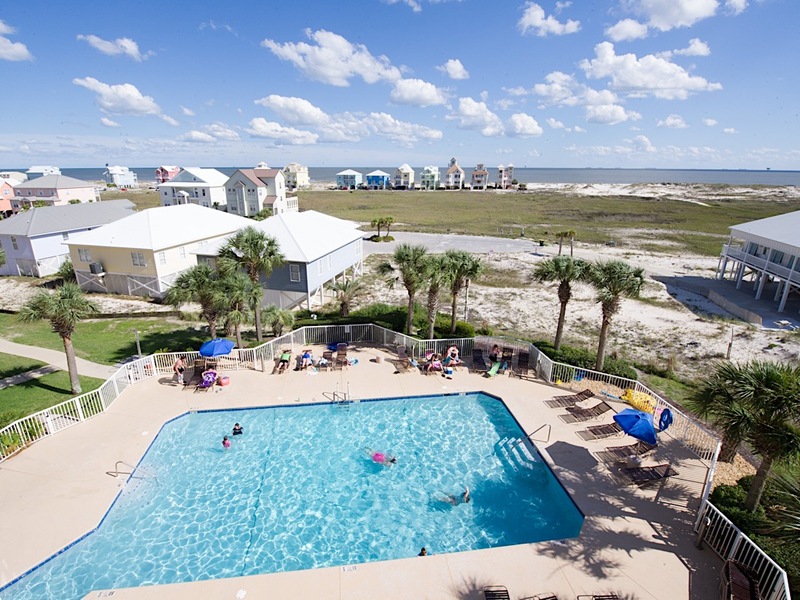 This gorgeous vacation resort between the Gulf of Mexico and Mobile Bay is for the tropical traveler looking for tranquility but still want to enjoy the fun and excitement of Gulf Shores located only 20 min away. 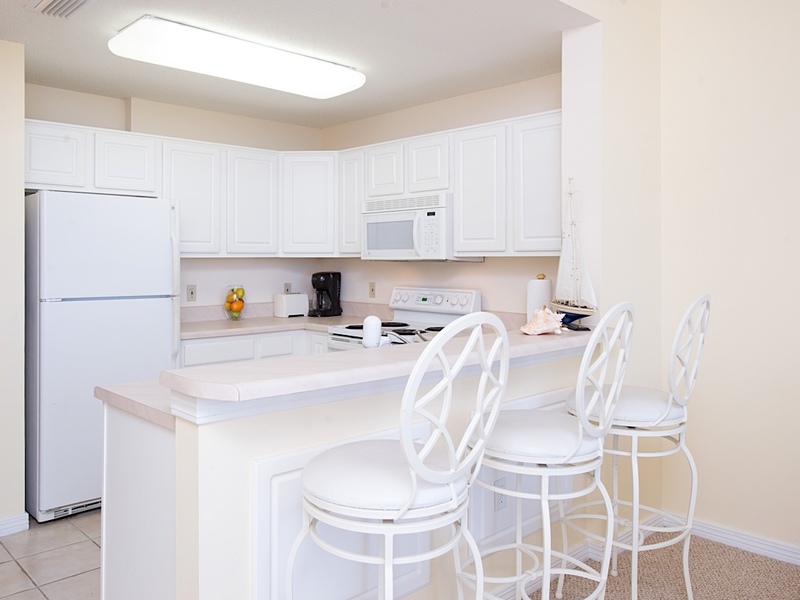 You will have many dining options for the family and entertainment for the children. There is also outlet shopping for mom and golf for Dad. When you have had enough entertainment come back and relax in your own tropical paradise away from all the crowds and noise. 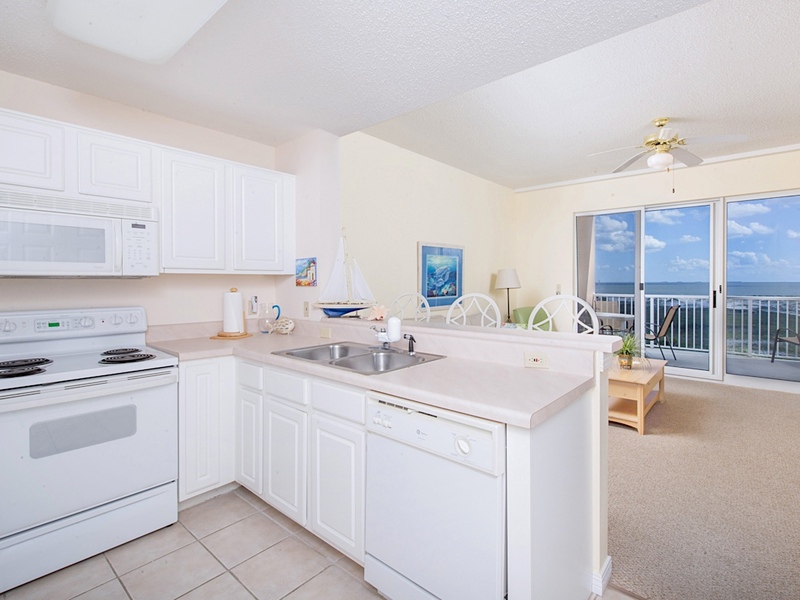 You will have a beautiful view of the Gulf from your private balcony. 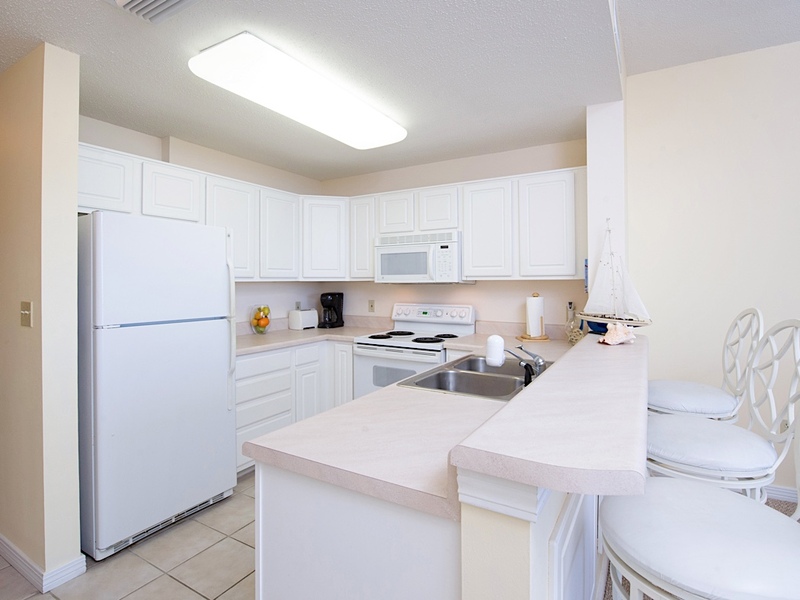 If you decide to stay in you have a fully equipped kitchen to cook anything you desire. 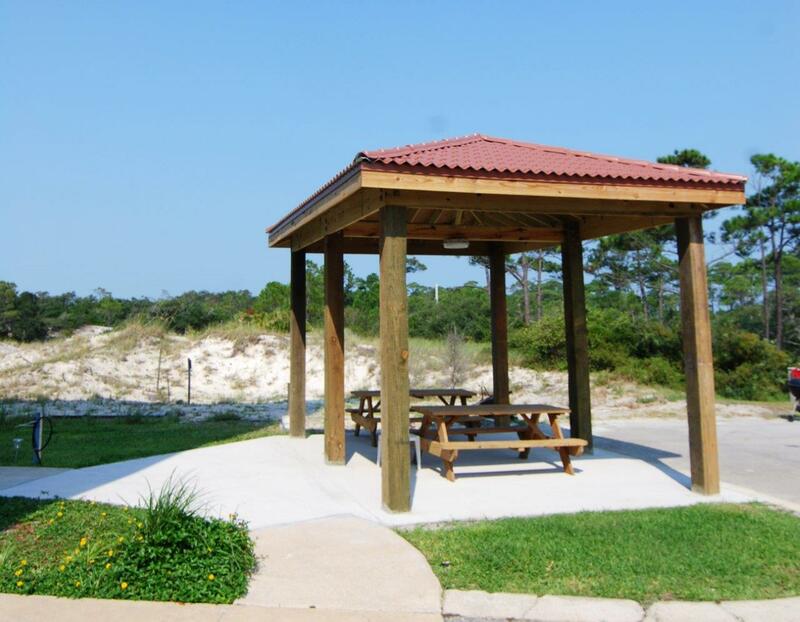 Free private Beach Access is located only 300 yards from your condo. Wonderful mother / daughter weekend. "Wonderful mother daughter weekend. Enjoyed drinking coffee on the 4th floor balcony, watching the waves and weather. Saw dolphins every day while walking down the beach. King bed was comfortable. Condo was clean, well appointed and had a great pool. Looking forward to our next visit." "My husband and I rented this well appointed one bedroom condominium for a three month period, The apartment is comfortably furnished with a king size bed and two bathrooms. The living room is cozy and welcoming to any visitor. The kitchen is small but is very well organized in terms of appliances for cooking and several bowls for baking. The premises were clean and attractive. The beach was close to the condo and afforded pleasureable long walks to the Fort. I would recommend the rental of this condo to couples of all ages since its location to trails and wildlife areas is fantastic. 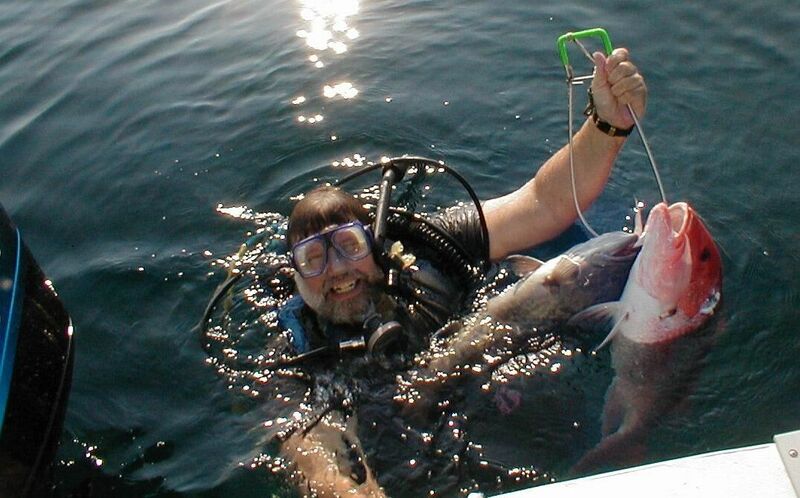 The owners are decent and accommodating people whose objective is to make anyone's stay memorable." 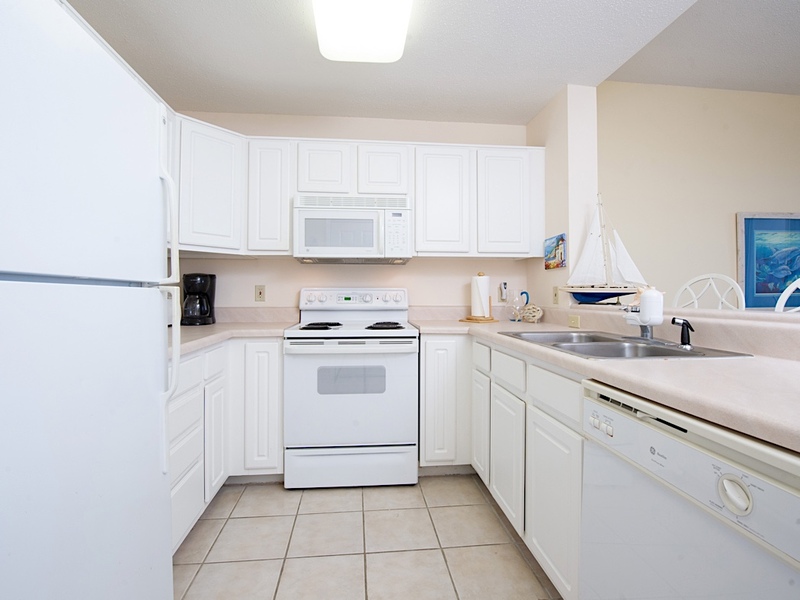 "This condo was great for my family of 3. My daughter loved the bunk beds and the view of the beach. We also found the king bed to be comfortable. The kitchen was well equipped to prepare the food we brought along with us. We had some trouble with cell phone service, but the directions that were posted on how to enable Wi-Fi calling quickly resolved the problem. We decided to drive to the beach instead of trying to walk with our 4 year old and all of our gear. It took us about 10 minutes to get there, park, unload, and walk to the perfect spot. The beach was great...very few people and warm, clear water. We definitely recommend this condo and plan to return next summer." "Was a great stay. Staff was very nice. Took care of everything very quickly. "Awesome! 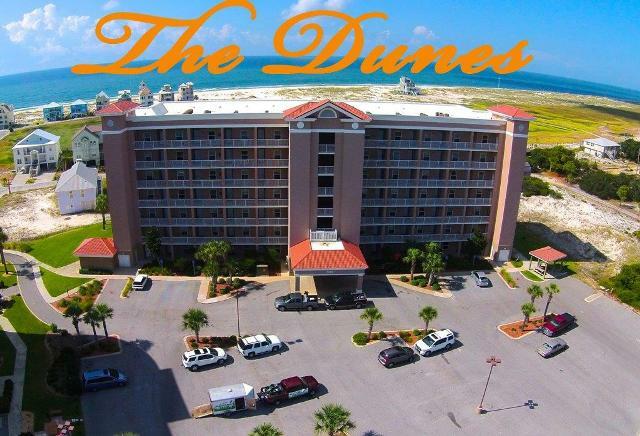 Thank you for taking the time to leave a review of your stay in Dunes 407! I am so glad you enjoyed your time in Fort Morgan! Please call us when you are ready to come back!" "Very satisfied. Condo was clean and kitchen was supplied with all essentials. " "Awesome! 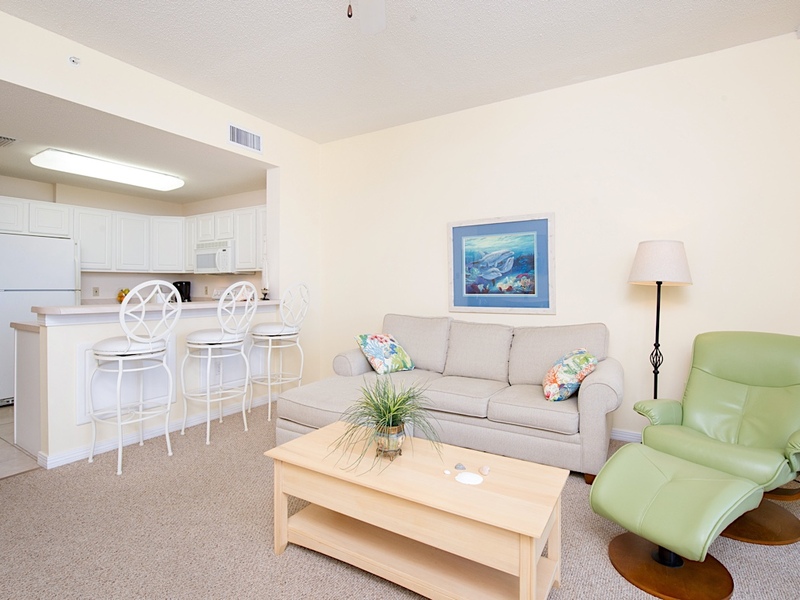 Thank you so much for taking the time to tell us about your stay in Dunes 407! We love to hear from our guests, especially when their time here was enjoyable! Please give us a call when you are ready to come back!" "I absolutely loved my stay! The condo was amazing, the views even better, we really wished that we could have stayed longer than we did! Can't wait to come back down and visit again!" "Yay!! We are so glad to hear this! Go ahead and plan to get back out to the Ft as soon as you can!" "The stay was very good. We loved the air mattress on the sleeper sofa! The unit was clean with a few spots that were not of big concern. The issue we had was not being able to adjust the thermostat. It was digital and connected the wifi. We needed a code to be able to adjust it up or down. I looked through my app and my emails but could not find anything on how to operate it or what the code was. Instruction would be good for the next renters." "Sorry about the thermostat issues! We will certainly remember to include the instructions in the future. I hope the rest of your stay was great and we look forward to booking your next trip!" "We loved it! Great property & location. Looking forward to next time! " "Woohoo! Thanks, Wendy, for taking time to leave us a review! I am so glad you loved this condo and Fort Morgan. We would love to have you back, just let us know when you want to take your next vacation!" "Good experience. Veiw of gulf was awesome could also see bay out bedroom window. Calm and quiet location"
"Woohoo! We are so glad you had a good experience. The view from this condo is indeed awesome. We're also glad you enjoyed the calm nature of Fort Morgan. We hope to have you back!" "Just right for a quick stay. Convenient to the best beach on the gulf coast of Alabama "
"Whoop whoop! Glad you enjoyed the stay and loved the beach! We hope to have you here again!" "The condo was amazing. It was everything that was described and a little more. 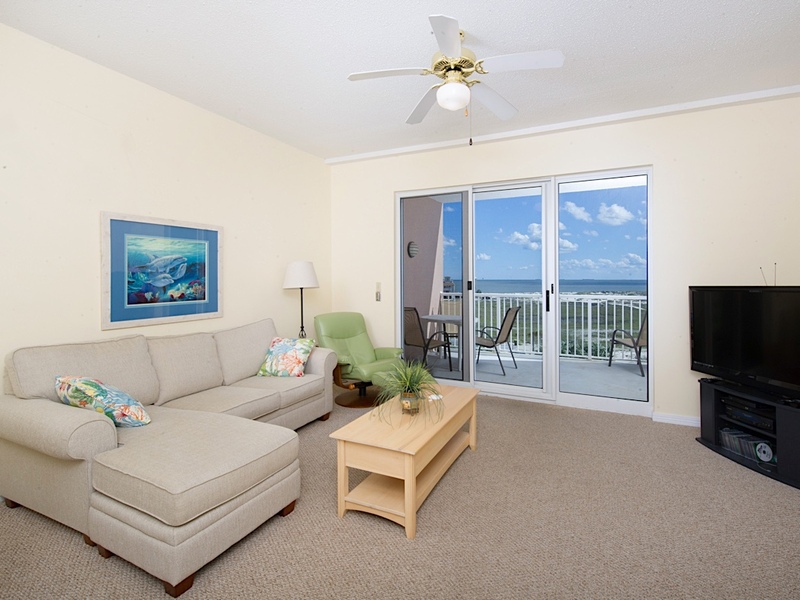 Plenty of space and the beach was a 2 minute walk away." 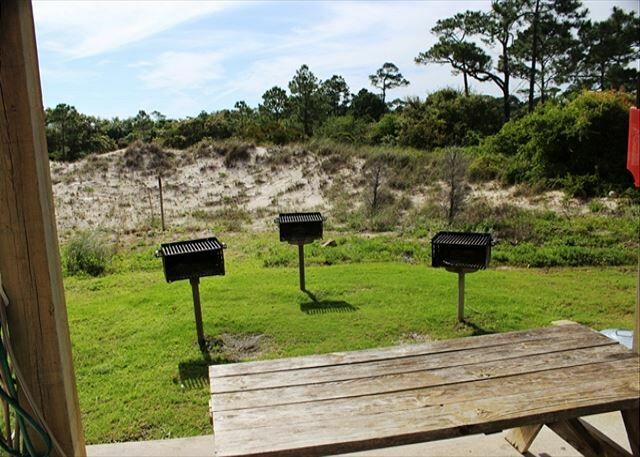 "So glad that you enjoyed your stay at Dunes 407! Give us a call and let us get you booked for next year!" "We had a wonderful trip ! Condo was very clean and updated . Would highly recommend this condo and the Dunes property . Will be back next year !!!!" "Thank you, Amanda for taking time to write a review! We were so glad to have you and hope you'll come back out soon!" " Quite a distance from Foley and eateries, shopping otherwise nice fourth floor condo with plenty of air movement on the balcony." "Thank you for taking time to write a review! We are a bit away from town, but that is what part of our appeal is, SECLUSION! We were glad to have you!" "Condo is a great size. 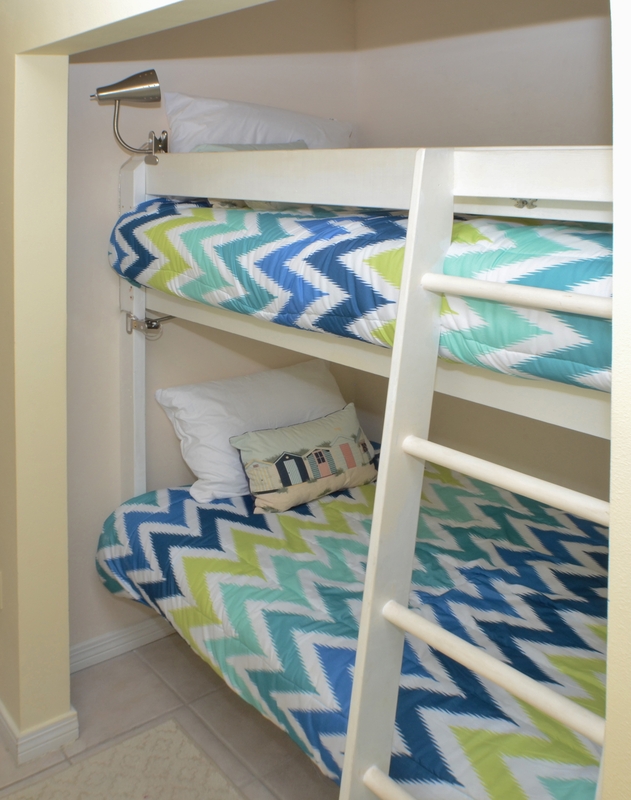 Girls loved the hall bunks. Very well equipped condo. Could not get the sliding doors to lock but did not feel unsafe. TV service is spotty. Dryer lint catcher is missing which makes the fitefighter's wife nervous. Email before travel was answered quickly but there was never a reply to only correspondence I sent while there. However, we had very little needs, the check in and out process was easy and the emails before checknin were well designed and informative. The king bed is very uncomfortable. Picture frame was broken and one blanket was in shambles. The overall expanse of the property (as opposed to the single condo) could be fabulous but there is litter and pet poo along walk to the beach. Overall the stay was good. The beach was not crowded. We had clear water. We toured Ft Morgan and rode the ferry. We would stay at this property again if the master mattress is replaced. " "Thank you so much for taking time to write a review! This certainly helps us to work on problem areas! We are glad you enjoyed your visit!!" 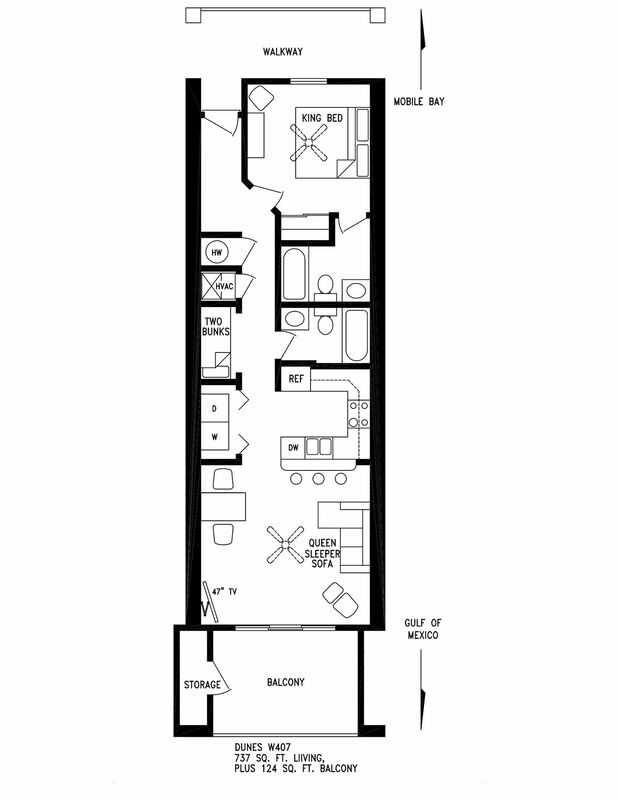 "This condo is bigger than the pictures make it out to be. Had bleary of room for me and the kids. The pool was awesome. It also hadjust about everything I needed for the entire stay. The walk down to the beach was a little more than I had guessed but we were about to set up our umbrella and leave it at the beach with the chairs and toys so we didn't have to haul so much back and forth we had a great time and I would recommend this condo or Sunset properties to others "
"Yay!! Thrilled to hear you had a great time with us out at Ft Morgan! We hope you'll come back soon!!"